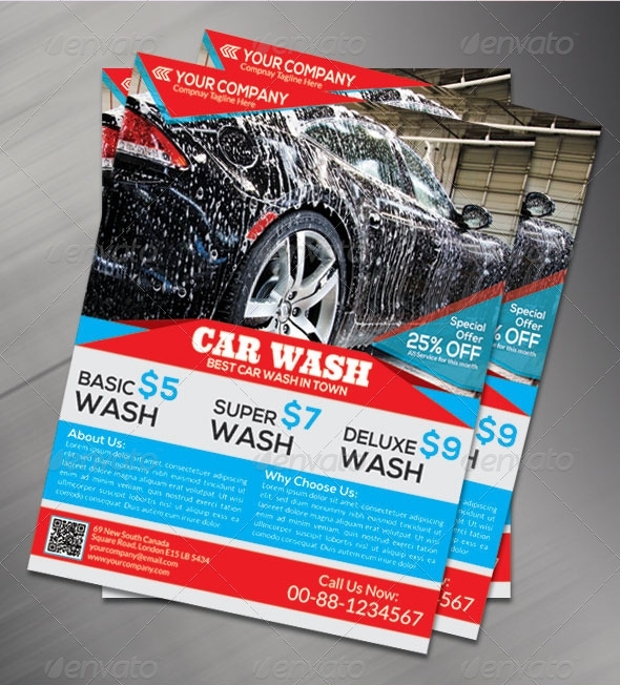 It is important to advertise about the car wash business to let everyone know where the business is located and the types of services it offers. 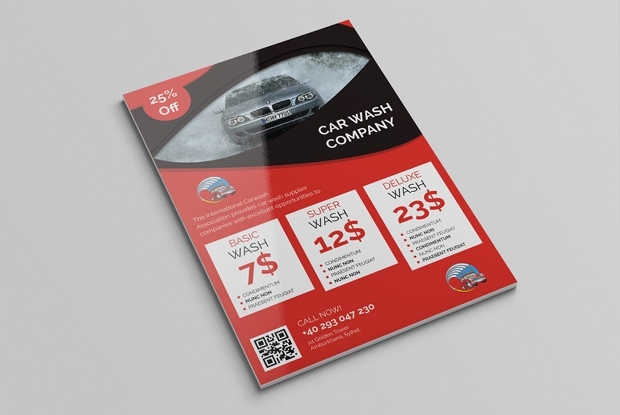 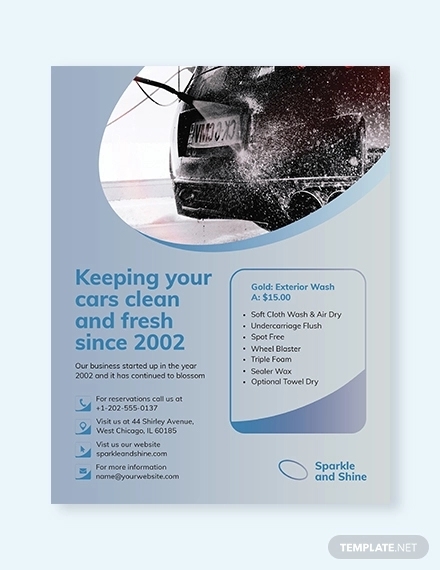 And, in such cases, the car wash flyer is all you need, so here we provide good collection of flyer designs that can help you attract a large number of customers. 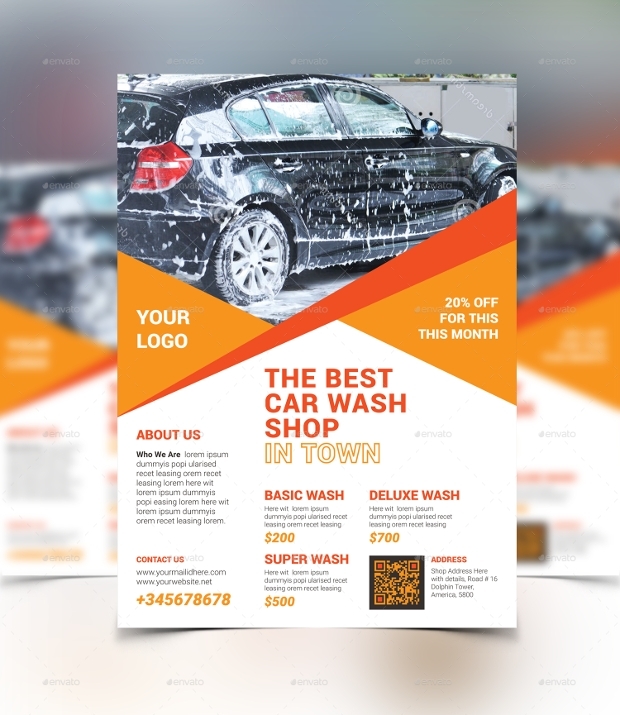 Since all of these eye-catching flyer designs are editable and customizable, you can tailor the content displayed on it based on your requirement. 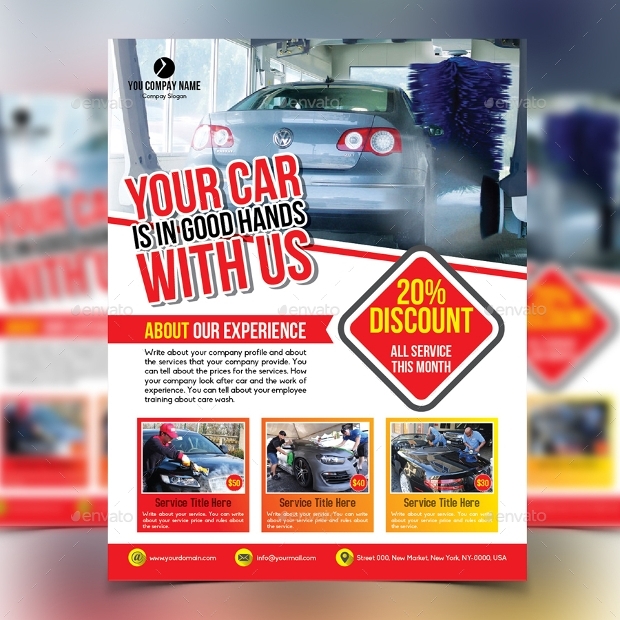 From about us to contact details to various types of services, these flyer designs feature ample of space for imprinting essential content. 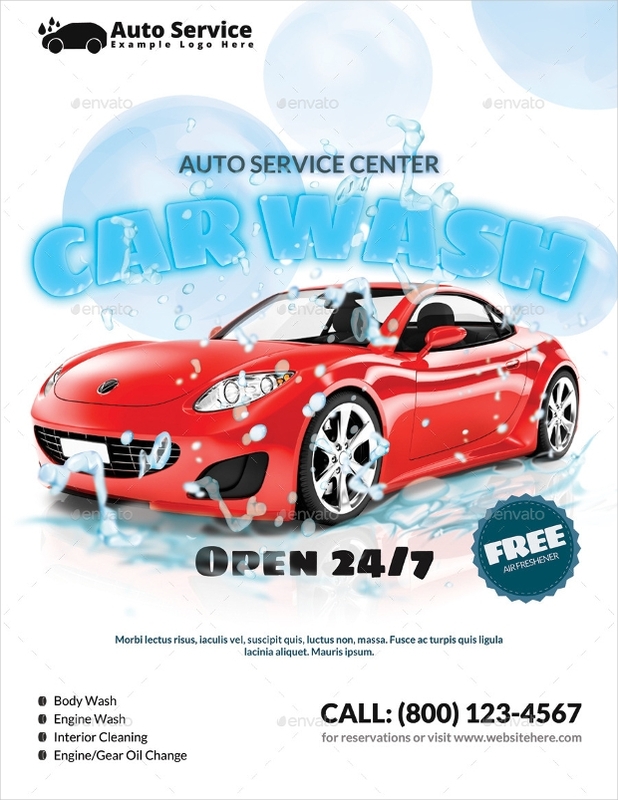 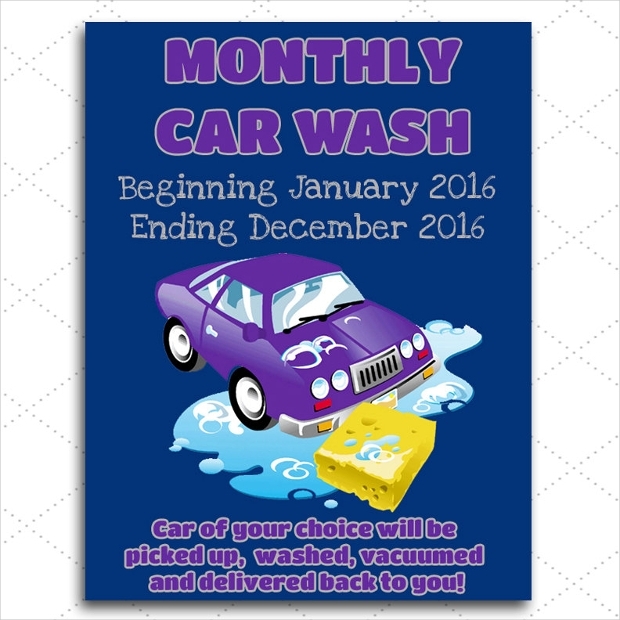 For events showcasing the benefit of a regular car wash or any other related concept, make use of the car wash flyer for successful promotion. 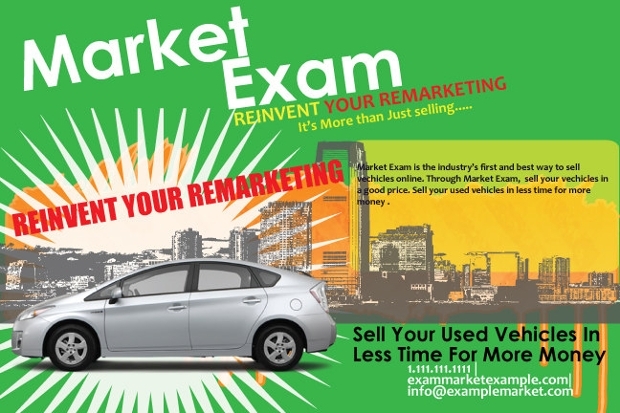 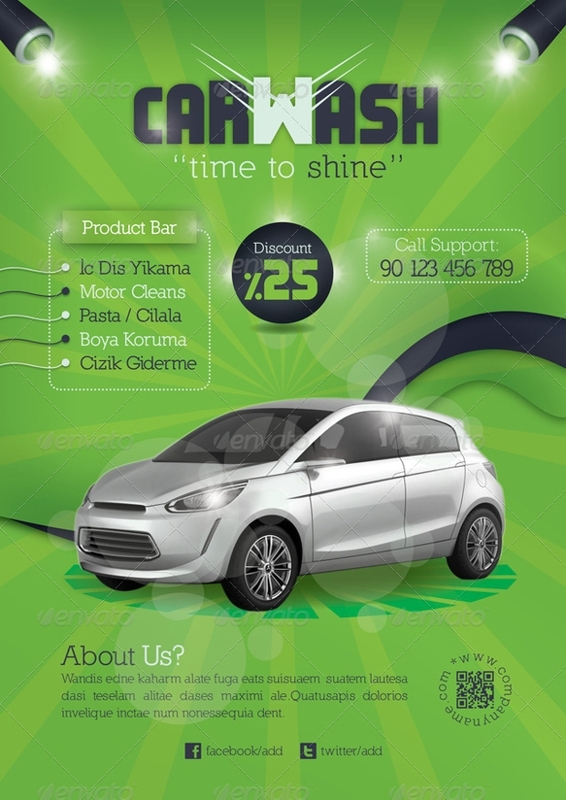 Most of the designs come with the main elements as the car to portray the intention of the flyer perfectly. 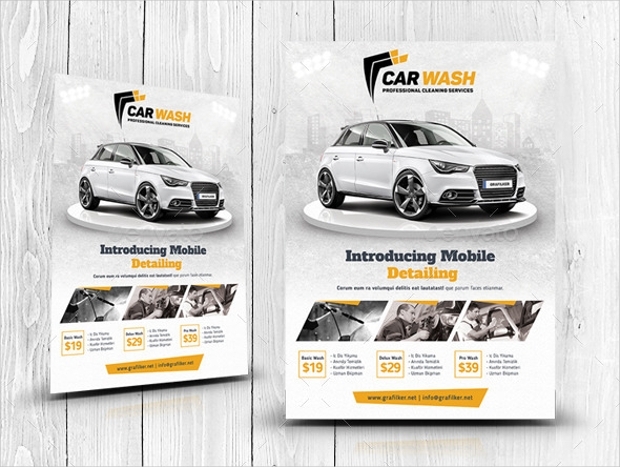 Choose the car wash PSD flyer that suits the idea of your business accurately, it will ensure that the flyer has maximum effect on the readers. 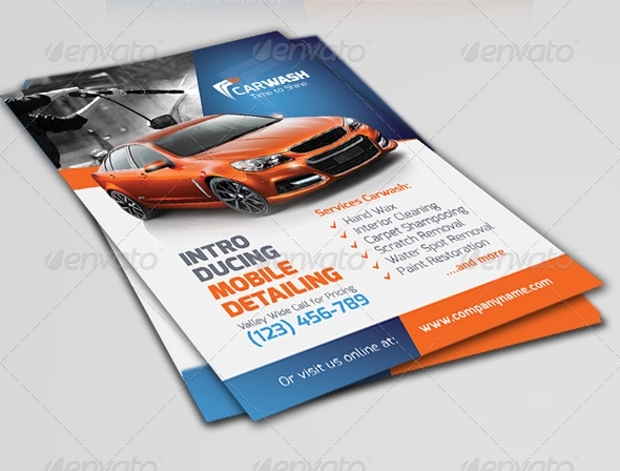 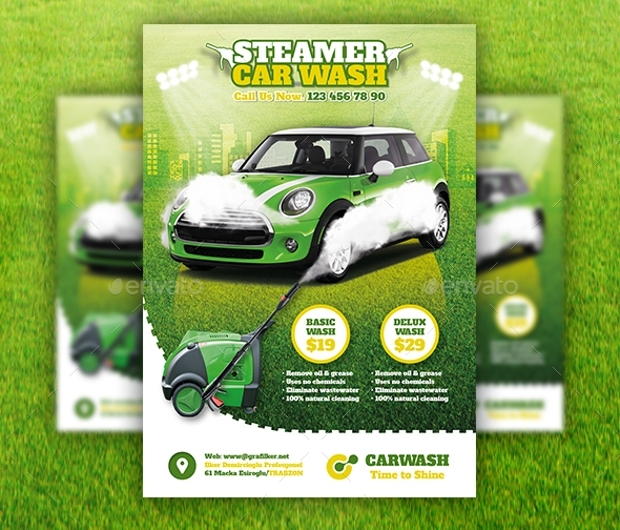 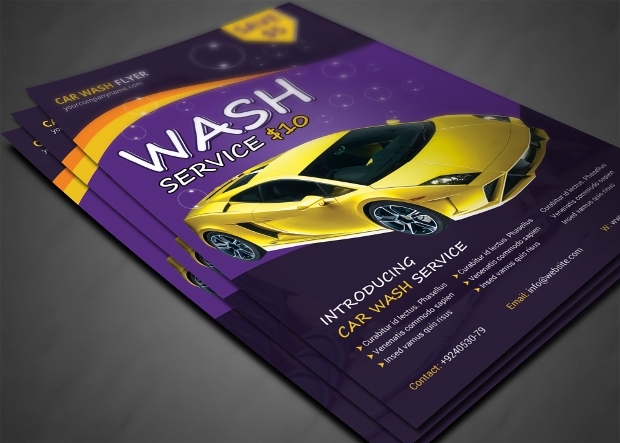 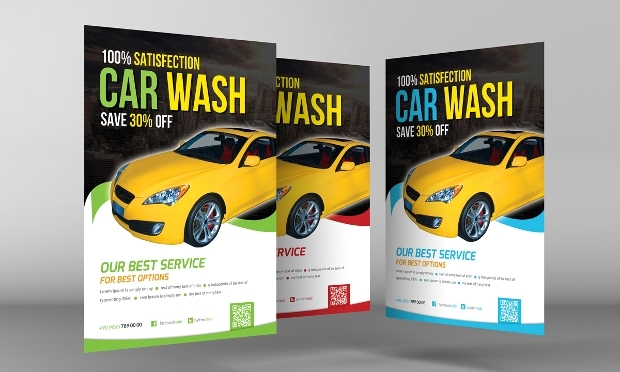 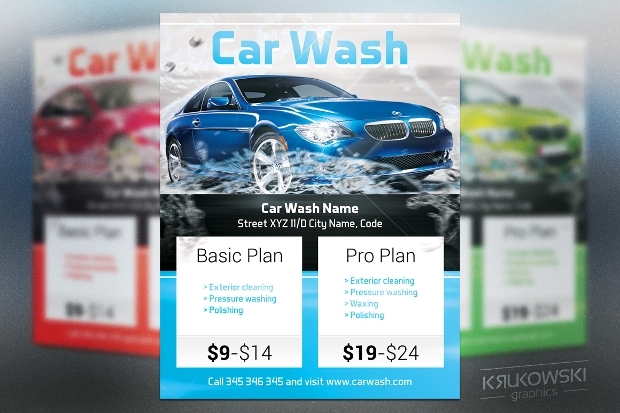 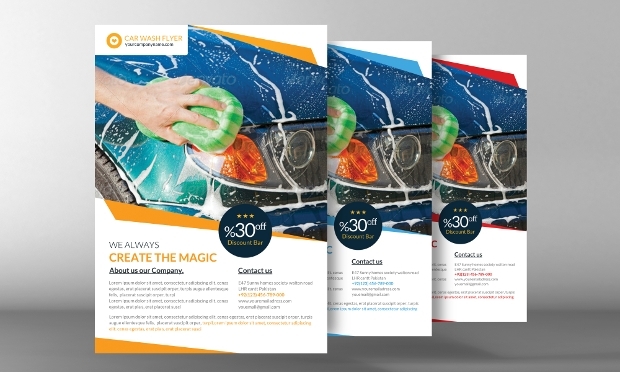 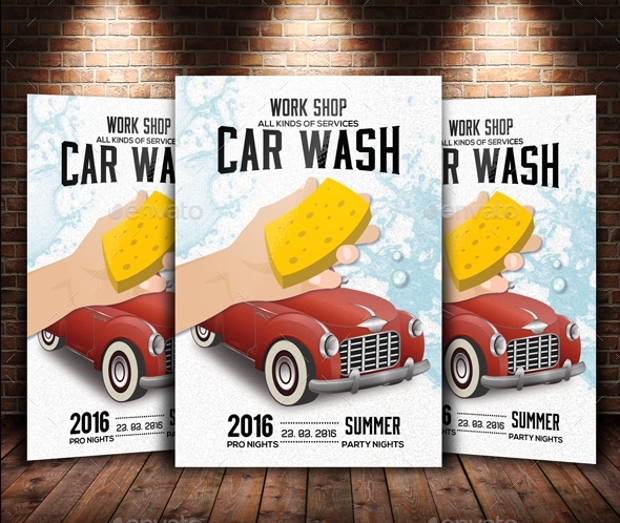 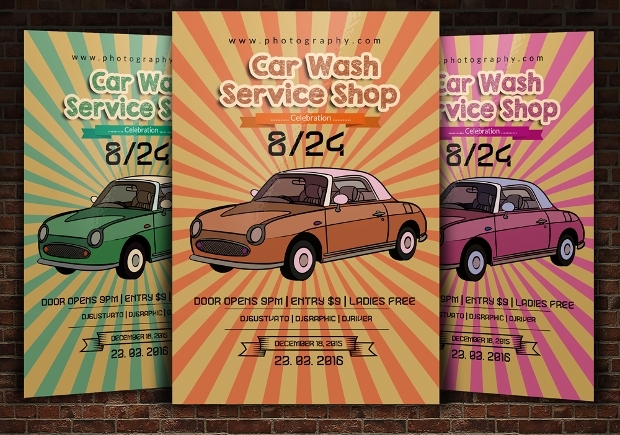 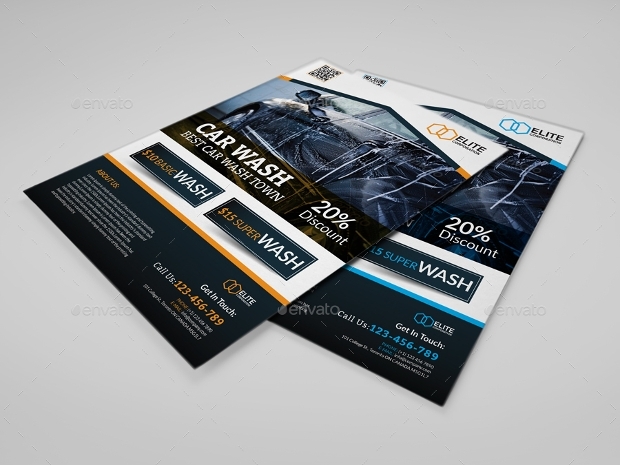 Even if you are not good at crafting flyers, these stylish flyer designs help you to craft attractive and appealing flyer for your car wash business. 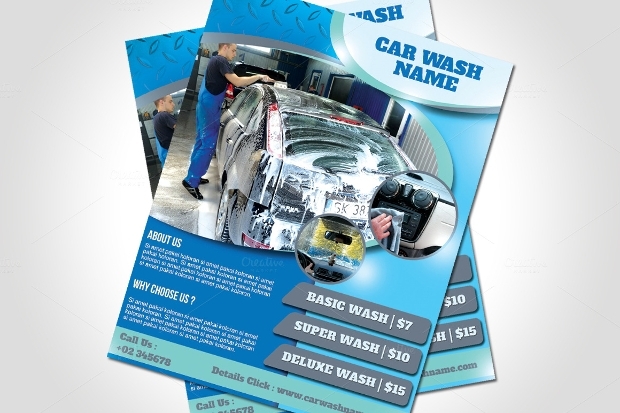 Hand out the flyer to the customers when they are entering or leaving the workshop so that they can pass it on to others for reference. 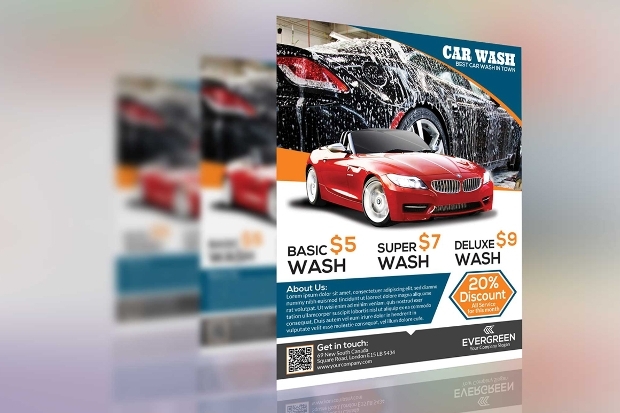 Download the best flyer to endorse your car wash business and its services from the elite collection that includes flyers in various shapes, size, style, and form- check them out!